It seems as if all the spring rains are behind us and we’re expecting wonderful weather in the 88th Assembly District this weekend. There are plenty of movies, concerts, discussions and more to enjoy in our cities, towns and villages this weekend. The Golden Horseshoe Shopping Center on Wilmot Road in Scarsdale will host a sidewalk sale from Thursday through Sunday. There will be carnival booths on Thursday and Friday, live music on Friday and Saturday and a North Shore Animal League Pet Adoption event on Saturday from noon-5 p.m. Visit shopgh.com for more information. The Bartow-Pell Mansion (895 Shore Road, Pelham Bay Park) will host its June Luncheon from noon-2 p.m. Visit bartowpellmansionmuseum.org for more information. 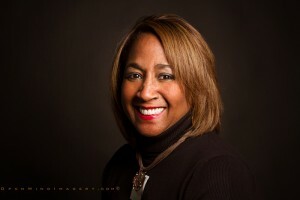 The Woman’s Club of White Plains (305 Ridgeway, White Plains)will host June Jazz for the Gardens featuring Glenda Davenport and the Hiroshi Yamazaki Trio at 6:30 p.m. Visit womansclubofwhiteplains.org for more information. The Israeli Film Festival will continue at the JCC of Mid-Westchester (999 Wilmot Avenue, Scarsdale) with a 7:30-p.m. showing of “Hummus! The Movie”. The touching documentary focuses on the food that is “sweeping across America”. Visit jccmw.org for more information. The George Coleman, Jr. Quartet will perform at Alvin & Friends Restaurant (14 Memorial Highway, New Rochelle) at 7 p.m. Visit alvinandfriendsrestaurant.com for more information. The St. Paul’s Church and National Historic Site (897 South Columbus Avenue, Mount Vernon) will host The Hudson Flute and Guitar Duo as they perform American, Italian and Latin selections at 3 p.m. Visit nps.gov/sapa for more information. The Pelham Preservation and Garden Society’s annual fundraiser will take place at the 530 Monterey Avenue in Pelham Manor from 7-10 p.m. Claudia and Rob Fauber will be hosting and there will be drinks, hors d’oeuvres and a silent auction. Visit preservepelham.org for more information. The Manor Club of Pelham (1023 Esplanade, Pelham Manor) will host its second annual Attic Treasures Tag Sale from 9 a.m.-4 p.m. on Friday, Saturday and Sunday. Visit themanorclubofpelham.org for more information. The Tuckahoe-Eastchester Lions Club will hold its annual dinner dance at Mulino’s at Lake Isle (660 White Plains Road, Eastchester) from 7-10 p.m. This year’s honorees are Tim McGrath and Leonard Spano. Visit tuckahoeeastchesterlions.org for more information. 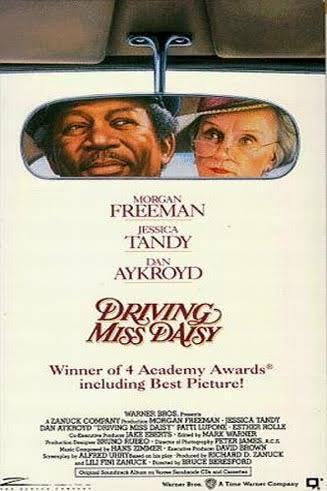 The Scarsdale Library (54 Olmstead Road, Scarsdale) will continue its Golden Age on the Silver Screen series with a 1:45 p.m. showing of “Driving Miss Daisy” starring Morgan Freeman and Jessica Tandy. Columbia University Medical Center professor emeritus and Scarsdale resident Dr. Steven Hyler will host a discussion about the film. Visit scarsdalelibrary.org for more information. The SK Studio Art Gallery (122 Westmoreland Avenue, White Plains) will host an opening reception for Brazilian artist Simone Kestelman from 6-9 p.m. Visit simonekestelman.com for more information. The 2nd Friday Book Club will meet at The Pelham Library (530 Colonial Avenue, Pelham) for a 10:30 a.m. discussion on “The Noise of Time” by Julian Barnes. Visit pelhamlibrary.org for more information. The Hoff-Barthelson Music School (25 School Lane, Scarsdale) will host an Early Childhood Music Classes Open House from 10 a.m.-noon. Visit hbms.org for more information. An Evening with Westchester’s Tastemakers will take place at The Ritz-Carlton New York, Westchester (3 Renaissance Square, White Plains) from 6-10 p.m. The area’s top chefs will prepare a six-course feast. Visit showclix.com/event/Tastemakers2017 for more information. 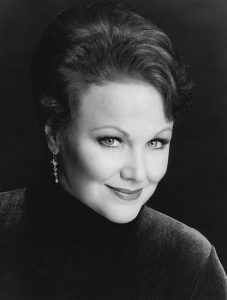 Soprano Jeanai LaVita will perform in an evening of musical theater at The Greenville Community Church (270 Ardsley Road, Scarsdale) at 5 p.m. Visit greenvillechurch.org for more information. please. Contact bronxvileegreencommittee@gmail.com for more information. The St. Paul’s Church and National Historic Site (897 South Columbus Avenue, Mount Vernon) will host Colonial Day at noon. The day will feature colonial-era style music, crafts, dancing and games. There will also be special tours of the Church and of the colonial section of the historic cemetery. There will also be hay rides through the six-acre burial yard and talks exploring interesting aspects of colonial life. Visit nps.gov/sapa for more information. The Eastchester Historical Society’s Community BBQ will take place from 3-7 p.m. at Eastchester Town Hall (40 Mill Road, Eastchester). Visit eastchesterhistoricalsociety.org for more information. The Pelham Art Center (155 Fifth Avenue, Pelham) will host “A Celebration of Irish Song and Dance” at 1:30 p.m. Visit pelhamartcenter.org for more information. New Rochelle’s Lincoln Park Community Garden (Lincoln Avenue between Memorial Highway and Prince Street) will unveil its Compost Bin Mural in a 4 p.m. celebration. Visit newrochellearts.org for more information. The City of White Plains Juneteenth Parade and Festival will take place at 11 a.m. at parade on Mamaroneck Avenue. The festival begins at noon at Martine Avenue and MLK Boulevard. There will be bands, dancers, drummers and more. Visit cityofwhiteplains.com for more information. The City of New Rochelle Children’s Fishing Derby will take place at Huguenot Park (North Avenue and Eastchester Road, New Rochelle) at 9 a.m. Visit newrochelleny.com for more information. Concert pianists Matthew Harrison and Vlada Yaneva will perform at The New Rochelle Library (1 Library Plaza, New Rochelle) at 3 p.m. in a concert entitled “Russia, A Composer’s Revolution”. Visit nrpl.org for more information. The North Avenue Mile Road race will take place in New Rochelle beginning at The Thomas Paine Cottage (20 Sicard Avenue, New Rochelle) at 9 a.m. and heading south down North Avenue. My Sister’s Place will be the official beneficiary of this year’s event. Visit newrorunners.org for more information. 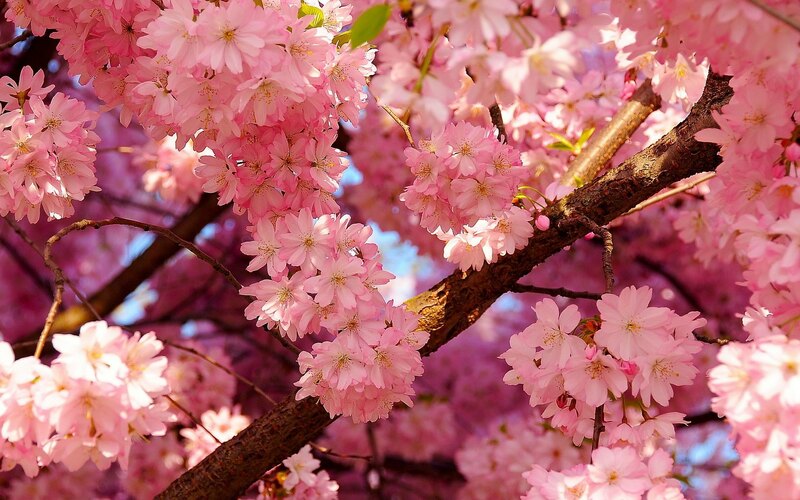 The Weinberg Nature Center (455 Mamaroneck Road, Scarsdale) will host a Spring Eco-Fest from noon-4 p.m. There will be nature hikes, an animal show, ice cream and more. Visit weinbergnaturecenter.org for more information. The Reformed Church of Bronxville (180 Pondfield Road, Bronxville) will host its Annual Carnival from 11:30 a.m.-1 p.m. There will be food, live music and more. Visit reformedchurch.org for more information. 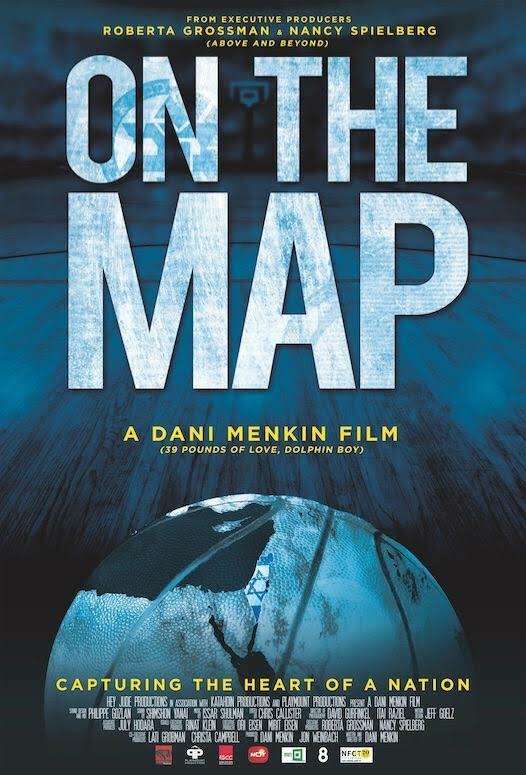 The Israeli Film Festival will continue at the JCC of Mid-Westchester (999 Wilmot Avenue, Scarsdale) with a 5-p.m. showing of “On the Map”, which is the story of the 1977 Maccabi Tel Aviv basketball team. Visit jccmw.org for more information. The Scarsdale Synagogue Temples Tremont and Emanu-El (2 Ogden Road, Scarsdale)will host its annual Congregational Meeting and Brotherhood Barbeque beginning at 10 a.m. with Rabbi Brown’s presentation “Pig Latin, Klingon, Esperanto, and Hebrew: A Mostly Light-Hearted Reflection on How Language Brings Our Collective Hopes and Dreams To Life”. There will be a noon barbeque and a Social Action Project. Gently used dorm gear will be collected for Grad Bag, a non-profit green initiative that collects, refurbishes and redistributes gently used dorm supplies to college-bound freshmen from low income households. Visit sstte.org for more information. The Sarah Lawrence College Writing Institute (1 Mead Way Bronxville) will present “650/Where Writers Read” from 2-5 p.m. It’s a literary showcase where writers read their works aloud in five minutes or less. Visit read650.com for more information. The Scarsdale Writers Center Spring Festival of Writing will take place at The Scarsdale Library (54 Olmstead Road, Scarsdale) from 11 a.m.-4 p.m. Visit scarsdalelibrary.org for more information. The Lazarus Gallery United Hebrew of New Rochelle (391 Pelham Road, New Rochelle) will hold an “Art of Gardening” opening reception at 3 p.m. The exhibit features 50 works from 33 artists depicting scenes in nature. Visit unitedhebrewgeriatric.org for more information. The Bronxville Historical Conservancy, Lawrence Park Hilltop Association, Jack and Jane Bierwirth, Si and Vicki Ford, Mary Marvin, Joe and Erin Saluti and Bruce and Irena Stern are hosting a farewell reception and fundraiser for the Bronxville History Center in honor of Eloise Morgan, longtime Bronxville resident and Village Historian. The Eloise Morgan History Fund is being established to further the work of future Bronxville Village Historians in preserving the community’s history. Contact Irena Choi Stern at irenachoistern@gmail.com for more information about the event’s location and time. If you love music then you will certainly enjoy this weekend in the 88th Assembly District. There are plenty of holiday concerts and other musical performances that are certain to appeal to people of all ages. So take the whole family and check out one or more of these special musical events that are sure to get you in the holiday spirit. 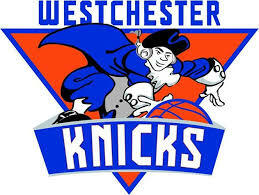 The Westchester Knicks, the NBA D-League affiliate of the New York Knicks, will play the Delaware 87ers at the Westchester County Center (198 Central Avenue, White Plains) at 7 p.m. Visit westchester.dleague.nba.com for more information. The White Plains Library (100 Martine Avenue, White Plains) Short-Story Discussion Series will take place at 2 p.m. Librarian Barbara Wenglin will lead the discussion using the anthology “Love Stories”, copies of which are available at the reference desk. Visit whiteplainslibrary.org for more information. Enoch Davis, the primary practitioner at Sojourn Acupuncture Center, will speak at The Manor Club (1023 Esplanade, Pelham Manor) about “Demystifying Acupuncture” at 7:30 p.m. as part of The Manor Club Talks Series. Visit themanorclubofpelham.org for more information. The Westchester Reform Temple (255 Mamaroneck Road, Scarsdale) will hold its Winter Luncheon from noon-2 p.m. Bernd Wollschlaeger, author of A German Life: Against All Odds Change Is Possible, will be the guest speaker. His father was a Nazi tank commander in WWII and was presented with the Iron Cross by Adolf Hitler. Wollschlaeger will talk about the past his father hid from him, how he was devastated by the Holocaust, which led to his conversion to Judaism and emigration to Israel. Visit www.wrtemple.org for more information. The 24th annual Edythe Kurz Conference will take place at The Westchester County Center (198 Central Avenue, White Plains) from 8:30 a.m.- noon. The topic is “Substance Abuse Treatment: Widening the Circle”. Visit wjcs.com for more information. Beth-El Synagogue Center (1324 North Avenue, New Rochelle) will present Dinner With The Mosaic Storytelling Project at 6:30 p.m. Come and meet two teens who identify as Jewish and LGBTQ as they tell their personal stories. Visit bethelnr.org for more information. 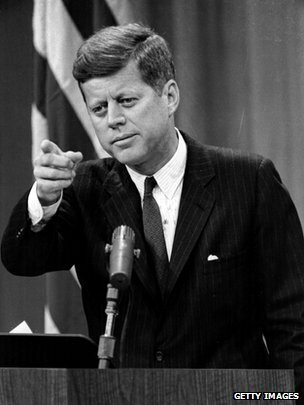 The Scarsdale Forum will take place at The Scarsdale Library (54 Olmstead Road, Scarsdale) at 7:30 p.m. The topic is “The Global Economy: What Lies Ahead”. Visit scarsdaleforum.com for more information. The Westchester Italian Cultural Center (One Generoso Pope Place, Tuckahoe) will host the annual Tombola Gala Fundraising Event at 6:30 p.m. There will be live music, dinner, cocktails, gift bags and more. Visit wiccny.org for more information. 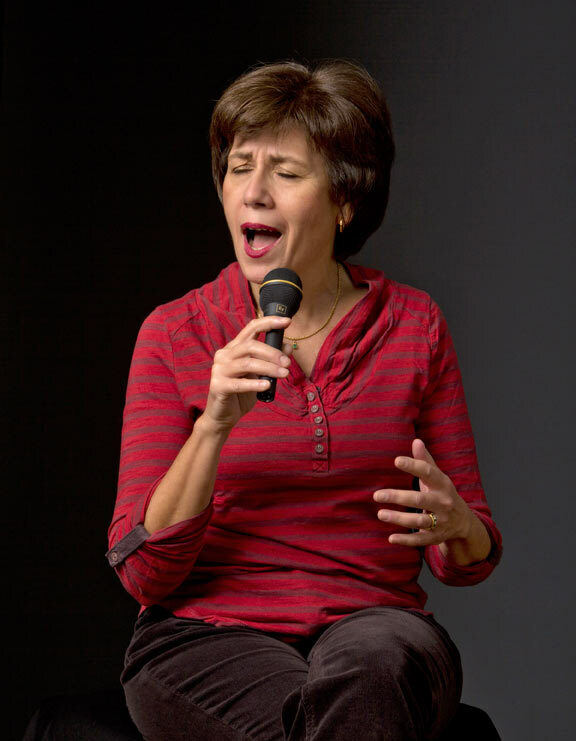 The Hoff-Barthelson Music School (25 School Lane) will present “The Song is You – Jazz Vocal Workshop Series” from 7-9 p.m. on Friday and Saturday. There will be several topics covered and performances by MJ Territo. Visit hbms.org for more information. The Young Israel of Scarsdale Synagogue (1313 Weaver Street, Scarsdale) will host a Community Kabbalat Shabbat and Dinner With Family & Friends. The dinner is scheduled to begin at 5:15 p.m. Major Gil Revivo, a wounded hero of the IDF, will speak. Visit yisny.org for more information. Beth-El Synagogue Center (1324 North Avenue, New Rochelle) will host “Sing Out Shabbat”, a service for anyone of any age, at 6:30 p.m. Visit bethnr.org for more information. The New Rochelle Library (1 Library Plaza, New Rochelle) will host a “Senior Benefits Information Center” from 10 a.m.- 1 p.m. Seniors will get help regarding benefits they may be entitled to receive, including Medicare health and prescription, food stamps, HEAP, EPIC, weatherization, minor home repair, tax relief programs and many more. Visit nrpl.org for more information. The Westchester Artists Guild will be holding its annual Holiday Art Show and Sale at St. Bartholomew’s Church (82 Prospect Avenue, White Plains) from 6-8 p.m. There will also be a reception. The sale resumes on Saturday from 11 a.m.-3:30 p.m. Visit hopefriedlandartist.com for more information. The Westchester Italian Cultural Center (One Generoso Pope Place, Tuckahoe) will host “Yummy Struffoli”, an evening of baking and enjoying these fried dough treats. Visit wiccny.org for more information. The India Center of Westchester will hold its annual dinner and dance at The Lake Isle Country Club (660 White Plains Road, Eastchester) from 6-11 p.m. Visit indiacenter.us for more information. The Music Conservatory of Westchester (216 Central Avenue, White Plains) will host “Performathon 2016”, an all-day performance by the conservatory’s fabulous student musicians. Visit musicconservatory.org for more information. Jay Unger and Molly Mason, the Emmy-nominated duo, will perform at Memorial United Methodist Church (250 Bryant Avenue, White Plains) as part of the Walkabout Clearwater Coffeehouse music series. The concert begins at 7:30 p.m. but the Walkabout Clearwater Chorus sing-a-long will begin at 6:45 p.m. Visit walkaboutclearwater.org for more information. The Hoff-Barthelson Music School’s Annual Festival Orchestra Winter Concert will take place at The Community Unitarian Universalist Congregation (468 Rosedale Avenue, White Plains) at 7 p.m. This year’s theme is “Life and Nature: The Best of Czech Music”. Visit hbms.org for more information. The Westchester Toy and Train Show will take place at the Westchester County Center from 9 a.m.-3 p.m. Visit westchestertoytrain.com for more information. The St. Paul’s Church National Historic Site (897 South Columbus Avenue, Mount Vernon) will present Holiday Music and The Holiday of Christmas, a French Horn and Harp ensemble, at 2 p.m. The show will be preceded by a discussion. Visit nps,gov/sapa for more information. 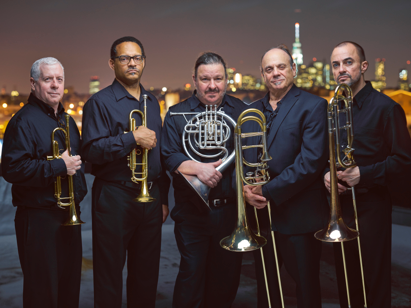 The Bartow-Pell Mansion Museum (895 Shore Road, Pelham Bay Park) will host The Bronx Arts Ensemble as it presents The Manhattan Brass Quintet as they perform a holiday concerts at 1:30 and 3 p.m. Visit bartowpellmansionmuseum.org for more information. The Bartow-Pell Mansion Museum will also present a Candlelight Tour with Victorian Carolers from 6-8 p.m. Visit bartowpellmansionmuseum.org for more information. Folk singer Caroline Doctorow will perform at The Bronxville Library (201 Pondfield Road, Bronxville) at 3 p.m. Visit bronxvillelibrary.org for more information. The New Rochelle United Methodist Church (1200 North Avenue, New Rochelle) will present “A Joyous Christmas Celebration” at 6:30 p.m. Concert and recording artist Kay Boyd is the headliner. Call 914-699-3041 for more information. The Scarsdale Parks and Recreation Department will host a Holiday Breakfast in the Scarsdale High cafeteria (1057 Post Road, Scarsdale) from 9-11 a.m. There will be holiday activities and pictures with Santa. Visit scarsdale.com for more information. The Playgroup Theater (One North Broadway, White Plains) will present “Captain Louie”, a fun, energetic story about friendship, at 8 p.m. and again Sunday at 2 p.m. Visit playgroup.org for more information. The Reformed Church of Bronxville (180 Pondfield Road, Bronxville) will present its annual Handel’s Messiah Sing at 4 p.m. Professional singers and a chamber ensemble lead one of the largest community sing-a-longs of Handel’s masterpiece in the area. Singers of all skill levels welcome. Visit reformedchurch.org for more information. Stillmeadow Gourmet (65 Pondfield Road, Bronxville) will hold a Cookie Decorating Class for Children at 3 p.m. Visit stillmeadowgourmet.com for more information. Visitors to The Silk Road (101 Pondfield Road, Bronxville) will be able to create their own memory quilts courtesy of My Quilting Beehive from noon-4 p.m. Visit bronxvillechamber.org for more information. The White Plains High School (550 North Street) Craft Fair will take place at 10 a.m. Visit tinyurl.com/zm2nsxa for more information. The Family Christian Center (592 Main Street, New Rochelle) will host The Performing Arts Ministry’s Christmas Spectacular at 5 p.m. Visit fccnr.com for more information. The Leslie Pintchik Trio will perform at Alvin & Friends Restaurant (14 Memorial Highway, New Rochelle) from 7:30-11:30 p.m. Visit alvinandfriendsrestaurant.com for more information. The City of White Plains Winterfest and Downtown Holiday Market will kick off on Court Street between Main and Martine Avenue and run every day through Dec. 18. There will be food, crafts, unique holiday gifts and entertainment. Visit cityofwhiteplains.com for more information. The Tuckahoe Library (71 Columbus Avenue, Tuckahoe) will host “Holiday Books and Tea Tchaikovsky and The Nutcracker” at 11 a.m. Visit tuckahoe.com/library for more information. The YWCA of White Plains (515 North Street, White Plains) will host a “Breakfast With Santa and a Side of Latkes” from 10 a.m.- 2 p.m. Visit ywcawpcw.org for more information. Violinist Chi-Chi Lin Bestman and the Solace Ensemble will perform at The Greenville Community Church (270 Ardsley Road, Scarsdale) at 5 p.m. as part of the Hoff-Barthelson Music School Artist Series. Visit hbms.org for more information. The New Rochelle BID Holiday Concert will take place at The New Rochelle Public Library (1 Library Plaza) at 3 p.m. Ursaville, a musical family, will perform. Visit nrpl.org for more information. 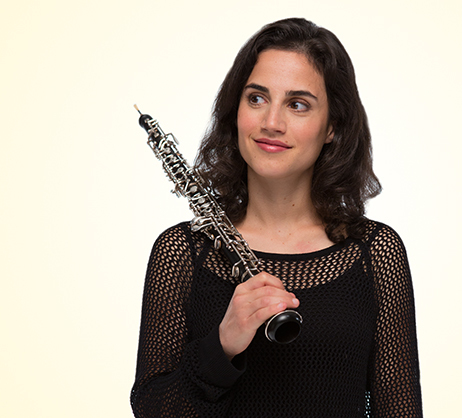 The Symphony of Westchester All Strings Concert will take place at The Christopher J. Murphy Auditorium on the Iona College campus (715 North Avenue, New Rochelle) at 3 p.m. Oboist Katherine Needleman is scheduled to perform. Visit thesymphonyofwestchester.org for more information. The NRAA Adolph Grant Award Show and Exhibit Reception will take place at The New Rochelle Library (1 Library Plaza, New Rochelle) at 5:15 p.m. Visit nrpl.org for more information. The Westchester County Center will play host to World Wrestling Entertainment’s Live Holiday Tour with a 7 p.m. show. Visit wwe.com/wwe-live-holiday-tour-6 for more information. each December at Lincoln Center. Visit thepicturehouse.org for more information. The Children’s Holiday Recital, arranged by the Bronxville Women’s Club, will take place at the Anna Lawrence Bisland 1928 House (135 Midland Avenue, Bronxville) from 1-3 p.m. Local young artists have the opportunity to perform in a professional setting. Visit bronxvillechamber.org for more information. Santa Claus will be visiting the Blue Moon Café (7-27 Pondfield Road, Bronxville) for a festive holiday brunch and pictures with patrons. Visit bronxvillechamber.org for more information. The Chabad of Bronxville will be hosting a Chanukah Menorah Building Workshop and Family Fun Day at Home Depot (601 Sprain Road, Yonkers) from 2-4 p.m. Visit jewishbronxville.com for more information. The Reformed Church of Bronxville (180 Pondfield Road, Bronxville) will hold its 63rd annual White Gift Christmas Pageant from 4-5 p.m. Join local high school students and the children’s choir as they bring The Nativity to life in a fabulous pageant. Visit reformedchuch.org for more information. The Westchester Reform Temple (255 Mamaroneck Road, Scarsdale) will screen “Last Stop”, the Israeli documentary that looks at the tensions between non-Jewish and Jewish-African communities at 2 p.m. Dr. Yoel Magid will speak. Visit wrtemple.org for more information. Head over to The Ritz Carlton (Three Renaissance Square, White Plains) for Breakfast with Santa between 9-10 a.m. Visit ritzcarlton.com for more information. The Young Israel of Scarsdale Synagogue (1313 Weaver Street, Scarsdale) will host its annual Chanukah Boutique from 11 a.m.-4 p.m. Visit yisny.org for more information. Beth-El Synagogue Center (1324 North Avenue, New Rochelle) will host Shira Epstein, EdD, at 9:30 a.m. as she presents “Cultivating Curiosity”, a conversation about how parents can cultivate an environment of curiosity, inquiry and question-asking in their homes. Visit bethelnr.org for more information. Alvin & Friends Restaurant (14 Memorial Highway, New Rochelle) will present “An Evening of Jazz With The Bernhard Haaks Quartet” from 6:30-9:30 p.m. Visit alvinandfriendsrestaurant.com for more information. The Westchester Chapter of the Archeological Society of America will host Yeshiva University Professor Jill Katz when she speaks at the Scarsdale Library (54 Olmstead Road, Scarsdale) about Khirbet Keiyafa: A City of David in Goliath’s Shadow at 2 p.m. Visit aiawestchester.org for more information. The Hitchcock Presbyterian Church (6 Greenacres Avenue, Scarsdale) will host a Community-wide Carol Sing and Tree Lighting at 4 p.m. The Flute Choir and the Handbell Choir will perform. Visit hitchcockpresby.org for more information. The Scarsdale Synagogue Temples Tremont and Emanu-El (2 Ogden Road, Scarsdale) will host a Judaica Shop Chanukah Sale from 9 a.m.-2 p.m. Choose from adult and children’s games, menorahs, dreidels, Chanukah gelt and much more. Visit ssttee.org for more information.